Molded rubber boots. Jeans faded by innumerable vintages. Frayed blue wool jumper that may well have witnessed the 1970s, denim jacket and a regulation flat cap, fluffs of white hair sticking out from either side, bushy eyebrows overdue effeuillage. 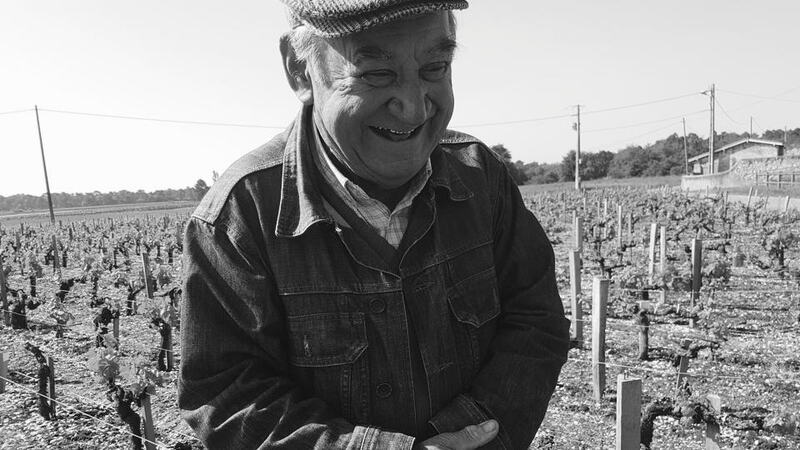 Jean-Pierre Boyer stands amongst his vines just outside the hamlet of Virefougasse, excoriating a wine region that has lost touch. He gesticulates wildly, enunciating sentences in crescendos of pent-up incredulity and frustration until a tipping point and then, instead of exploding in rage, he deflates. A resigned shrug of shoulders and outtake of breath, as he remembers his age, and the futility and inconsequence his opinion carries. Jean-Pierre is a bona fide French paysan. See the weather-beaten face, a lifetime exposed to the elements and labor in his rudimentary winery. Feel that indefatigable spirit. Listen to those incorrigible opinions. I look upon an old man caught adrift in a modernizing landscape that extinguished his brethren long ago. However, I am not in some bucolic backwater of Burgundy or less-travelled nook of Jura. I am a five-minute drive from Château Margaux. In fact, I can see that First Growth’s vines yonder. I have met countless Bordeaux winemakers over two decades. None have been cut from the same rough-hewn cloth as the owner of Bel-Air Marquis d’Aligre. Jean-Pierre Boyer is the last of his kind. Dominique Dupuch, my intermediary who kindly arranged the visit since Jean-Pierre rarely entertains journalists, remarks that there are only two or three like him left in Bordeaux, all in the twilight of their lives and destined to take their memories with them. Although it is not the most famous or familiar château I will ever write about, Bel-Air Marquis d’Aligre constitutes one of the most important. It might be the last or the only time that I will meet bygone Bordeaux face-to-face. Born May 1933, Jean-Pierre Boyer’s energy belies the fact that he is about to turn eighty-five – nothing unusual there. Many winemakers work until they are physically incapable. What is remarkable is that Jean-Pierre is embarking upon his 68th vintage at the same property. That is not a typo. Sixty-eight vintages. Think about that for a moment. The first vintage under his aegis was 1950, fourteen years before Jean-Claude Berrouet, five years before Lalou Bize-Leroy. 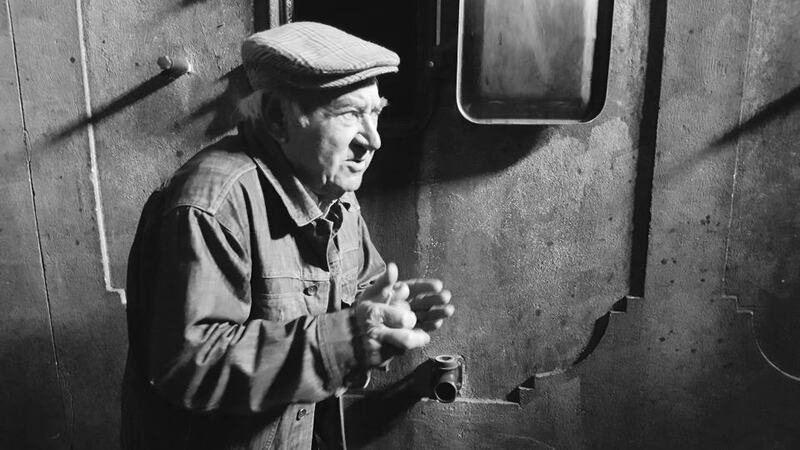 This man remembers helping his father Pierre make the 1947 vintage. His calloused hands tended the vines and bottled the 1947, 1949, 1959, 1961, 1982, 2009 and one hopes, 2018, and everything between. Even more astonishing is that his modus operandi, his tenets and practices, remained unaltered from his first day to this. It is forgotten Bordeaux made corporeal and if you don’t believe me, then I guarantee you will by the time you finish reading this article. Before I continue, let me forewarn that Jean-Pierre is not a man for details. He doesn’t do them. He tells me that he’s too old for those kinds of things and doubts their importance. I am able to glean that he owns around a considerable 50-hectares of vines scattered over all five communes within Margaux, some under long-standing fermage agreements with Château Ferrière, Lucien Lurton being an old friend. It implies Bel-Air Marquis d’Aligre produces a large volume; however, the parcel directly outside the winery lies fallow with wild grass and poppies. 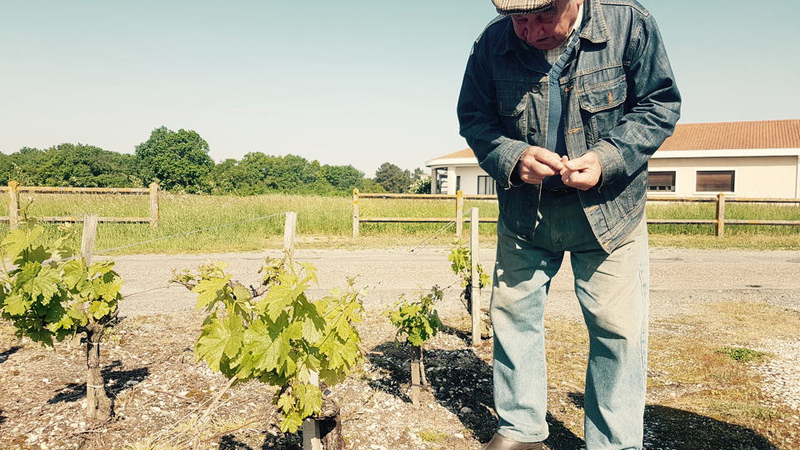 “I pulled up the vines in 1956 after they were killed by the frost and I just never got round to replanting,” he explains. “I could do it, I suppose.” Jean-Pierre seems content to look upon the fallow land, exercising his right to not plant any vines, to the chagrin of his neighbors. The parcel beyond is pot-marked by numerous gaping holes between vines, aesthetically akin to some ancient old Grenache vineyards I saw in Rioja, incongruous in a region that prides itself on regimented high-density rows manicured to within an inch of their lives. He divulges that at some point, he exchanged several parcels with Château Margaux; indeed, one of his plots is adjacent to Pavillon Blanc de Margaux. This exchange transpired before the Mentzelopoulos family bought the First Growth, when Pierre Ginestet was the proprietor. Digging around texts I found that only 13-hectares are farmed with some rented out to neighbors, which means annual production is roughly 2,500 cases. The vines. Wow. I have visited most of the major vineyards in Bordeaux and never encountered any like these. “I have vines that are over 100-years old, maybe dating back to the 1870s on their own roots,” Boyer tells me, vanquishing the idea that the only Gallic vines on their original roots lie chez Bollinger. Winemakers often boast about the age of their vines, exaggerating and adding a few years. Inspecting these veterans close-up, they must constitute not just some of the oldest in Bordeaux, but in France. “Look at this one,” he says gleefully. “It looks like a trombone!” And he’s not joking. It’s gnarled and twisted into a warped corkscrew, its ugly form its warped beauty. Some vines are scarred down to the bone, almost splayed open. Jean-Pierre demonstrates how he cuts and scrapes away any disease with a knife. 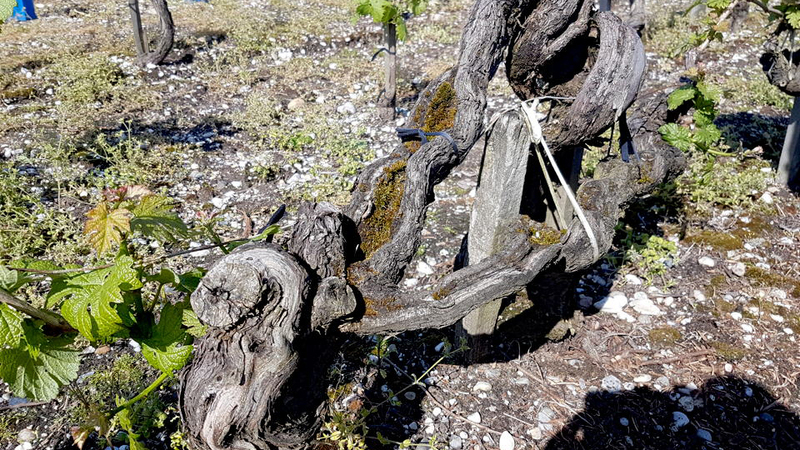 One vine clearly shows where at some indeterminate point, instead of the orthodox practice of re-grafting the vine onto phylloxera-resistant American rootstock, the tendril was buried into the soil to propagate a new vine. This is the first time I have seen this largely abandoned technique in Bordeaux. That erstwhile spur is now an inch thick trunk plunging back into the terra firma, popping up next door as a new vine. Yields must be criminally low and not because of any ultra-low-yield dogma. I don’t ask the proportion of grape plantings because I know Jean-Pierre will just scratch his head and laugh at such a banal question. Later, I learn from David Peppercorns’ Bordeaux guide that the planting is 35% Merlot, 30% Cabernet Sauvignon, 20% Cabernet Franc and 15% Petit Verdot and, according to old Féret guides, there was once Malbec. Use that as a rough guide since those figures would be skewed by expired vines since that book was published. Whilst examining the vines, Boyer pontificates on modernity, laughing when I enquire whether he has a mobile phone. This provokes a diatribe against those that visit vineyards and remain glued to their smartphone. I feel a momentary guilt as mine records our conversation though I give up after 10 minutes. It’s better to just memorize everything and type my recollections on the flight home later that day. When he broaches the current state of Bordeaux, Jean-Pierre is implacable. His favorite two catchphrases are: “It is all cinema” and “It’s all blah, blah, blah.” He regards contemporary Bordeaux as just a show, jejune and superficial. In many ways he is perfectly correct. He sees the glitz and gloss as ersatz facets of Bordeaux, extraneous to the alchemy of turning grapes into wine. After an hour jabbering away, we walk round towards the winery and pause to examine to plants growing on the wall outside the original château that was once occupied by his family, now empty and storing a cache of mature bottles. “Look how they grow naturally without water...look at them!” he implores. I lean down and inhale their perfume to ensure Jean-Pierre is happy. We pass a garage. Of course, there is no door. “You are English. I have an English car,” he reveals. Part of me would love to see a gleaming red Ferrari inside but no, there is a 25-year old white Austin Metro. “Why get a new one? I don’t understand people that are always buying new cars,” he tells me as I peer inside to view the driving seat worn down to the foam. I estimate its top speed at about 20mph. I wonder how often he has journeyed beyond Bordeaux. He just looks at me askance, a quizzical expression, when I ask if he has ever been on a plane. Behind the Austin Metro stands a tractor that apparently he bought in 1958. I don’t know if it works or not. It looks as if the wheels would come off their axle if he attempted to drive it into the vines. Further round we enter the cuverie. Of course, I am accustomed to state-of-the-art, multi-million euro wineries with not a mote of dust, furnished with gleaming stainless steel, chichi amphora and a computer running the entire operation down to the n’th decimal point. This is the opposite. For viewers of Netflix show “Stranger Things”, imagine you suddenly enter the “Upside Down World”, though this one has a winery. It might look a bit like this, albeit without a Demogorgon. The building was constructed in 1758 so the history clearly extends back to the early days of Bordeaux. The famille noblesse of d’Aligre originated from Chantres and became extraordinarily wealthy during the 1700s, counting two French chancellors and numerous high-ranking magistrates amongst their dynasty. I suspect that it was the third Marquis d’Aligre, Étienne Marie Charles de Pomereu d'Aligre that acquired the estate since there was a cru that bore the Pomereu name. 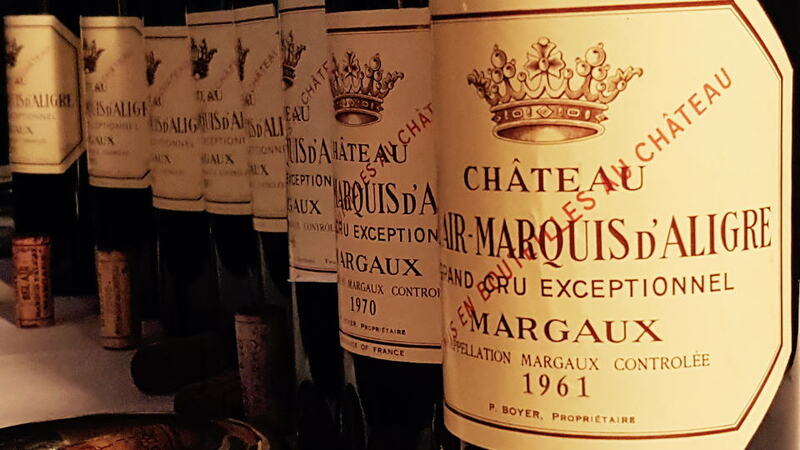 Originally the wine had been known as “Château de Bel-Air” and given the Marquis’s connections it became esteemed within French high society. At some point he appended his name to create the rather long grandiose title of today. Perusing the 1898 Féret guide, the proprietor had changed to Ernest Rosset. The guide waxes lyrical about the wine that attained equivalent prices of Third and Fourth Growths. I have no clue as to when exactly Jean-Pierre’s father, Pierre Boyer, came into ownership of the estate. What is true is that in the 1930s its wines were esteemed and it was one of six Cru Bourgeois Exceptionnels until the classification was abandoned. I am not sure what the Marquis d’Aligre would make of the current winery. The first thing you spot are the ancient wooden beams that traverse the ceiling, part of which looks as if it is in urgent need of repair. It is not exactly clean but nor would I describe it as dirty, more timeworn like the winery at Lopez de Heredia in Rioja or by all accounts, Henri Bonneau in Châteauneuf. “There is a family of bats that live in here,” he divulges. “They are great. They keep it clean.” Maybe apart from a few droppings here and there? To my left are Jean-Pierre’s barrels. Forget your endless rows of bespoke François Frères or Cadus. There are eight, well, seven and a half barrels in total. I am not sure of their age but they have seen a few vintages for sure. Behind are stacks of unlabeled bottles, not because they remain unsold, but because Jean-Pierre does not sell en primeur and hold vintages back until he is ready to put them into market. The adjoining vat-room houses a Vaslin horizontal press and the reception area where I gaze down upon a large metal corkscrew that funnels the grapes along in brutal fashion compared to the kid-glove approach passim nowadays. 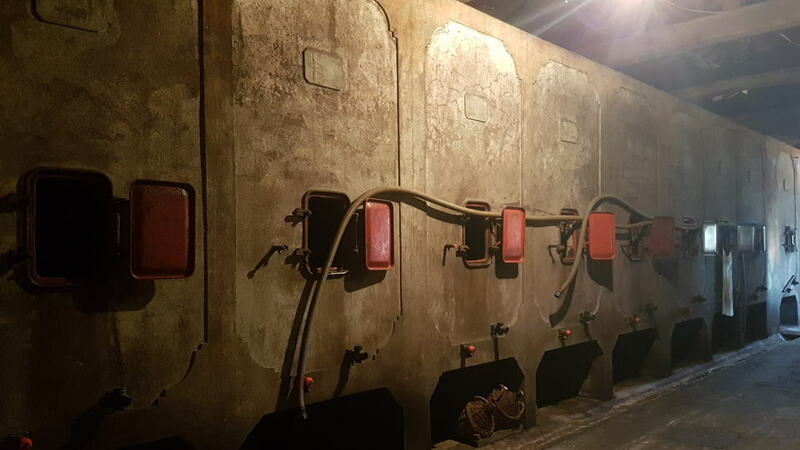 Each side of the room is dominated by terraces of large cement vats that have clearly fermented Bel-Air Marquis d’Aligre since time immemorial, so dark and gloomy grey they seem to absorb light. He switches on a rudimentary electric bulb so that I can see them better and then turns them off because he does not want to waste electricity. Underneath each vat are large format bottles tilted at 45° and a handful of demi-jeans in wicker baskets. These are not a library stock of ancient bottles but Jean-Pierre’s only means of manually topping up the vats. Presumably he tilts a ladder against the vat, hoists up what looks like rehoboams and pours them in from the top. That’s your maceration. The wines spend two or three years in these cement vats, a similar approach to Château Gillette in Sauternes. Boyer offers a taste of his 2015 and 2016 from the vat and he turns a small tap that he has to keep free of tartrate build up, then wine pours into a glass. By this point, given my description reads like the antithesis of hygienic Bordeaux, you might expect some dusty, unclean, perhaps brettanomyces-ridden fermented grape juice. Come on, do you think I would have given up a morning if that were the case? Both are delicious, fresh pure vibrant red fruit free of any oak, sappy and full of tension on the finish. “You could drink the 2015 now,” Boyer suggests and he is not wrong. To be honest, the quality of the wine is no surprise because it had been instigated the previous year. I had heard about the wine, but never tasted it until I encountered the 1970 last May. I was impressed. A few weeks later a munificent Belgian collector organized a private dinner with several vintages stretching back to a 1961. The wines were cut from a totally different cloth to any Bordeaux I had tasted. They evoked a fast-disappearing era of Bordeaux. They were remarkably consistent, and their backstory made them intermittently profound, extraordinarily pure, almost Saint Julien-like in style with sappy finishes that urged another sip. Let me emphasize that those who relish satin-like textures and big, bold fruit in their Bordeaux ought to steer clear of Bel-Air Marquis d’Aligre. Without the protective, cosseting carapace of wood you inevitably obtain a “raw” wine that can be jarring to taste buds accustomed to élevage in high-quality barriques. They are expressions of terroir in its most unadulterated and unmasked form. I let the notes speak for themselves. I suspect that Jean-Pierre occasionally dreams of his century-old vine orbiting the Earth to the music of Richard Strauss. Should I mention that Jean-Michel Cazes beat him to it, a bottle sent up in a space capsule in the 1970s? No. What is the point? Jean-Pierre is a man out of time. He cannot relate to 21st century Bordeaux: his wealthy neighbors up in their ivory towers dressed in tailored suits, traveling the globe selling their luxury brands, the technological know-how. Where does a démodé estate like Bel-Air Marquis d’Aligre fit in? Obsolescence? I like to think of it as an ill-fitting and timeworn jigsaw piece, yet that piece that completes the whole picture. Fashion and fads have come and gone and passed Jean-Pierre by, as he looked on with bemusement and cynicism, understandable when he has furrowed his own path, produced wines that probably unbeknownst to this solipsistic old-timer, have developed a cult following as a paradigm of what Bordeaux sacrificed for modernity. This wine doesn’t languish in obscurity. I have spotted bottles on the wine list at Noble Rot in London and Chambers Street wine shop in Manhattan. Prices are higher than you would imagine. I am aware that few will have heard of Bel-Air Marquis d’Aligre until now. However, those few are doubtlessly amazed that a major publication has afforded Jean-Pierre a share of long-overdue limelight. All it took was 68 vintages. “Everybody these days just want to be rich,” he opines. “There are a lot of egoists. Me? I’m happy. I have my vines. That’s where I like to be. I’ll be happy for however much longer I’m around”. Lingering on that inescapably morbid sentiment, we bid good-bye.